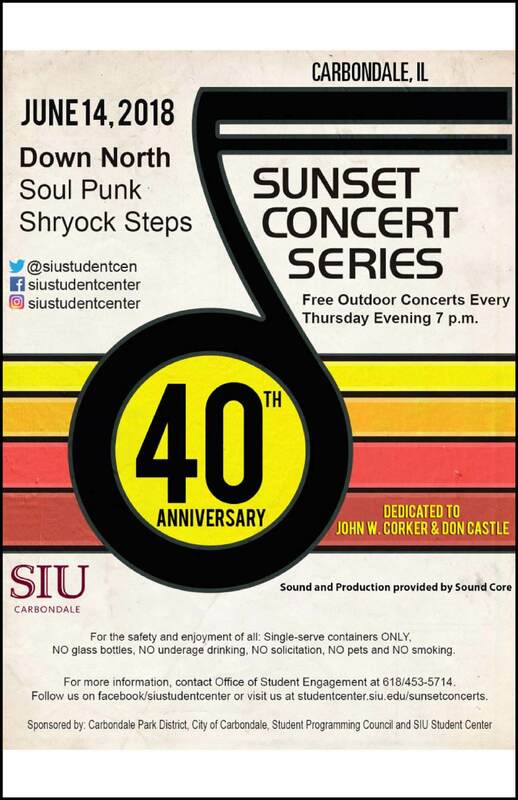 The Sunset Concert series begins at 7pm on Thursday, June 14 at the steps of Shryock Auditorium. The free concert will feature Down North, a soul punk band based in Seattle. Bring your coolers and grills and come enjoy the music and dancing.